Meeting your unplanned financial requirements between two paydays is a huge struggle. However, there are various ways you can quickly get some monetary aid to feed your immediate needs. You can turn to FLEX Loans or Title Loans in such difficult times. But what are the differences between the two? FLEX Loans or Title Loans? Let’s find out. A FLEX Loan comes with open-end line of credit that is renewable and it gives you the utmost financial flexibility to meet your unexpected expenditures. With FLEX Loans, you can withdraw as much as or as little money as you need within your credit limit. Repayment tenure is in your control and so you can access additional money whenever you need. First things first, Title Loans are limited to people with vehicles. In most cases, to avail a Title Loan, you need to have a free & clear title of a vehicle. The cash inflow you get through the loan depends on your state of residence and value of the vehicle. A Title Loan is a limitation for someone like you who needs abundant cash inflow. Loan repayment is not flexible and is fixed at the time of agreement. FLEX Loans are about flexible tenure. You can repay on your own terms. Get your freedom from the fear of repossessions. 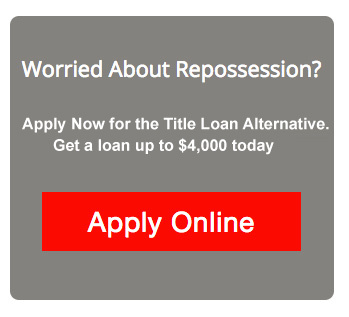 Apply Now for Title Loan.